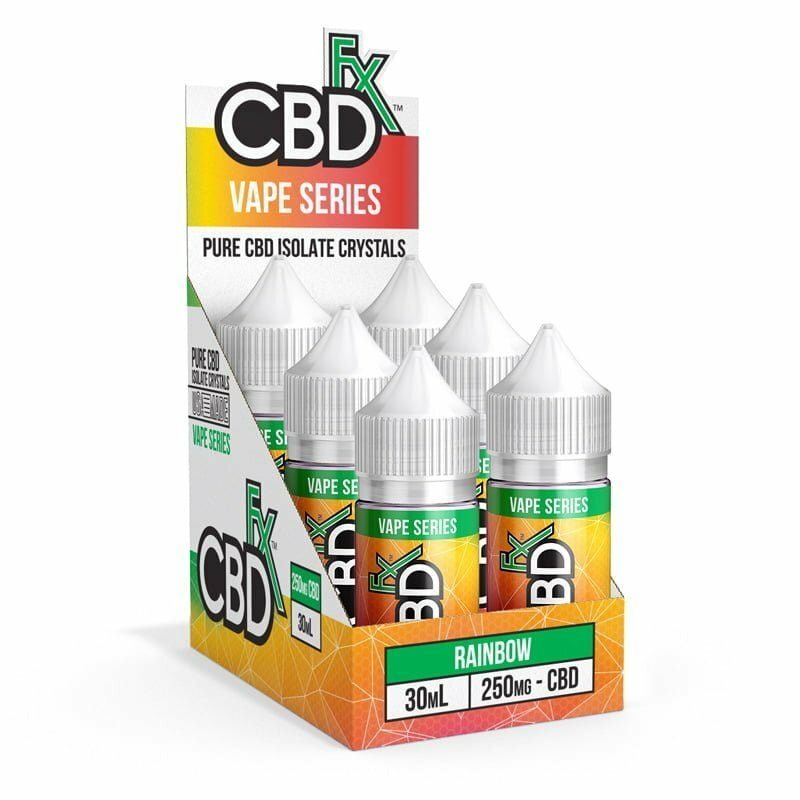 CBDfx’s Rainbow CBD Vape Juice – for some people, the rainbow flavor brings back distant memories of a childhood favorite. For others, it’s the delectable flavor of all the colors in the candy rainbow. Either way, our Rainbow Candy CBD e-juice is that juicy, sweet way to get your daily CBD dose that you’ve been looking for. 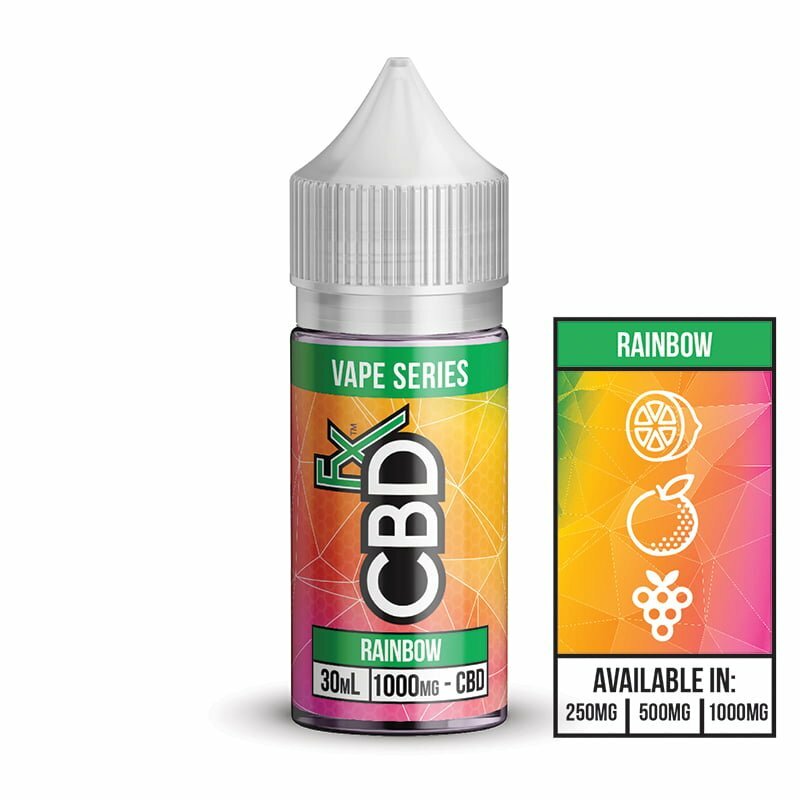 The secret to our Rainbow Candy CBD vape e-juice isn’t just the lip-smacking, sweet and juicy taste; it’s also how we’ve dialed in the perfect ratio of PG to VG so that you get a smooth vape hit every single time.